I am Ai Sasaki, working as a financial planner in Japan. I am running a company named “I Planning LLC” which provides matchmaking service and financial planning service in Hiroshima. I was born in 1965 and grew up in Hiroshima. I worked as a numerically controlled machine programmer in steel manufacturing industry for 10 years of my early career life. After I got a license of financial planner, I worked in two insurance companies for 9 years and finally started my business of producing family planning and financial planning in 2011. I am writing two blogs now. One is Japanese blog “Matchmaker is Financial Planner” about matchmaking and financial planning for Japanese from 2011, another is English blog “I Love Planning” about Japan and international marriage with Japanese woman for men in the world who want to marry Japanese woman from 2013. Our business activities in Ghana started in 2012. I posted some articles about our activities in those blogs. In “Africa Asia Investment Portfolio”, we will write more about our activities in Ghana, west Africa and investment in other African countries for investors and entrepreneurs reviewing late articles from above two blogs to tell our beginning of Africa business. Well, I will introduce you another author of this blog, my partner Donald Duke. Donald is African Jewish American from San Francisco, California of the United States. His outlook is Black African but he is a quarter of Jewish and is proud of that very much. He is a Christian. I am a Christian too. After study business at University of San Francisco he has worked in real estate investment business and precious metal & stones business (gold and diamond) in international business relationship in Africa, Europe and Asia. Finally he found a property and his dream in Wawasi village in Obuasi, Ghana where he was working. 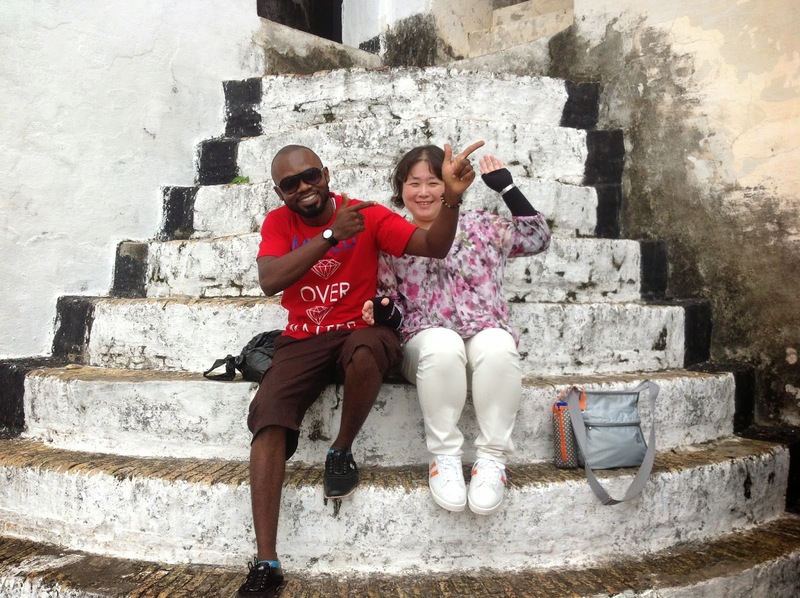 We knew each other during he worked in Ghana, and he chose me as his business partner and life partner to be his wife. If I say about his choice in my place, it is like I followed his “DREAM” (I think he led me strongly to follow him). I didn’t have any plan to have business in Ghana in my life and didn’t know about Ghana at all, but I was becoming to think to realize each our dream by corporation because he showed his understanding to my business in Japan. My dream is to have international business and contribute children’s and women’s growth in the world. It was natural process for him to chose a Japanese woman as his partner because he was interested in Japanese culture. I thought achieving our dream could become more powerful if we put our head and talent and abilities together. There are many type of marriage. It would be nice to be a strategic couple. My motto in my life is that “A dream you dream alone is only a dream, a dream you dream together is reality”. We are walking together as the words say. It has been three years since we started building our business in Ghana. This year we will see more progress in the business. African countries now need investors and business partners to develop their countries. We got a opportunity to introduce Africa investment to Asian , that is why we named the blog title “Africa Asia Investment Portfolio”.